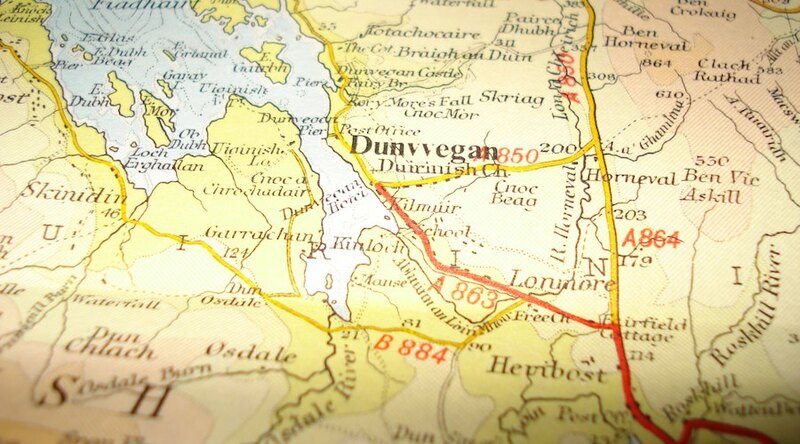 Cross the bridge at the Kyle of Lochalsh and follow the A87 to Dunvegan. Just before Dunvegan turn left towards Glendale. After 2 miles and as you enter Skinidin look up towards Macleod’s Table on the left. We are at the foot of the mountain – Look for the wooden ‘Black Shed’ sign.